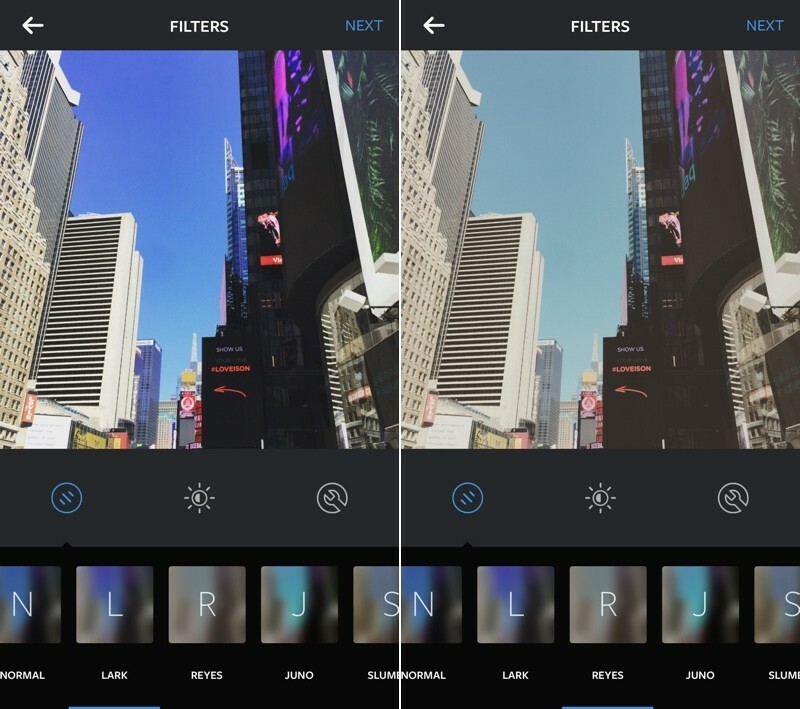 Instagram for iOS received a major update today, adding three new filters to the app: Lark, Reyes, and Juno. Lark brightens up images and adds purple tones, while Reyes adds a vintage-looking fade with yellow tones. Juno is the boldest of the three new filters, brightening images and bumping up the contrast for a more stylized look. Today's three new filters come four months after Instagram added Slumber, Crema, Ludwig, Aden, and Perpetua, the first new filter additions to the app in two years. With those five filters, Instagram began focusing more on subtle improvements, a trend continued with the three new filters added today. Instagram has also gained emoji hashtags with the latest update, so it's possible to use emojis to create hashtags to enable new ways of tagging and finding photos on the image sharing service. Emoji hashtags. Use your favorite emojis to create, share and search for hashtags. Get the best of Instagram from the Apple Watch. Browse your feed and like your favorite photos, or even leave emoji comments. Plus stay up to date with interactive notifications right on your wrist. instagram was born at a time when the filters made the pictures look much better than what the phone's camera could do natively. now, as said above, it's about having fun. Now I can leave a coffee emoji hashtag to go with my coffee pictures! I'm joking, but it will happen.